In recent years, Shady Places has become renowned for its innovative designs. 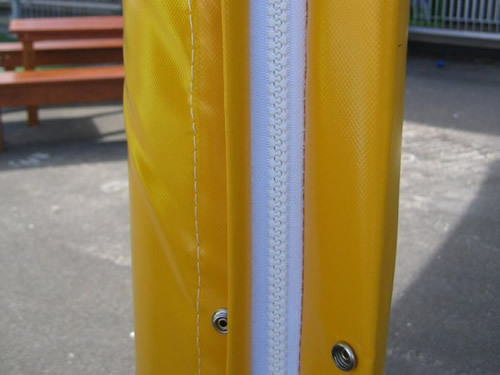 From soaring, colourful designs that enhance the look of your business or home, to ground-breaking sails that work around natural features, Shady Sails can meet almost any job requirement. Thanks to their versatility and experience, Shady Places staff are not limited by size – small or large – and have the skills to place sails over and around natural obstacles like trees, or man-made structures. 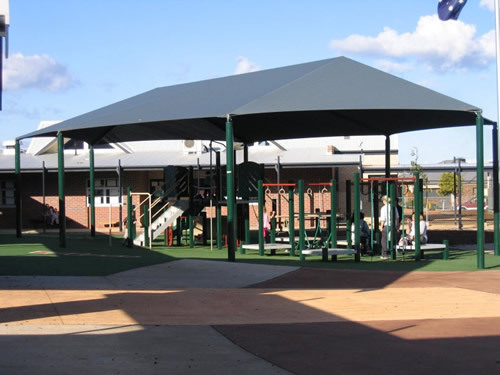 For pool shades in Melbourne schools and recreational businesses, we are able to custom design shade structures that will work well within pool areas to provide an impressive and functional shaded space. 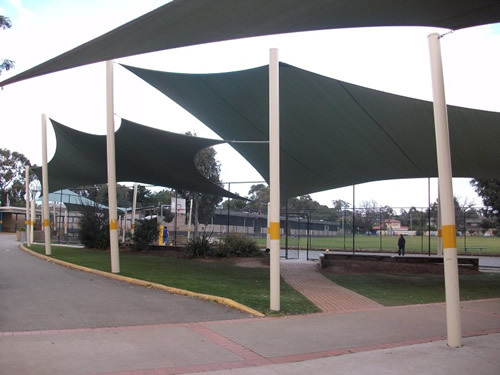 For custom shade sails in Melbourne, we can utilise many different types of shades using waterproof shade sail fabrics or commercial grade shade cloth fabrics. 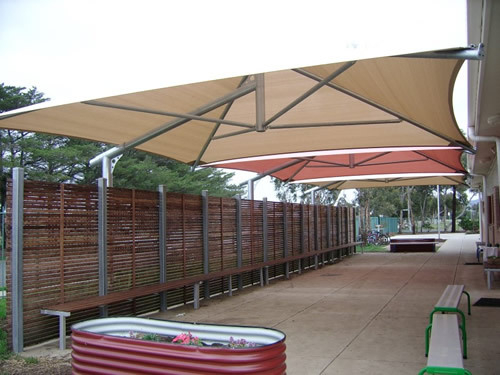 For waterproof shades, umbrellas, rolled or barrel structures are an ideal design as they have perfect angles and curves for the water to run off, avoiding water pooling and stretching the fabric. 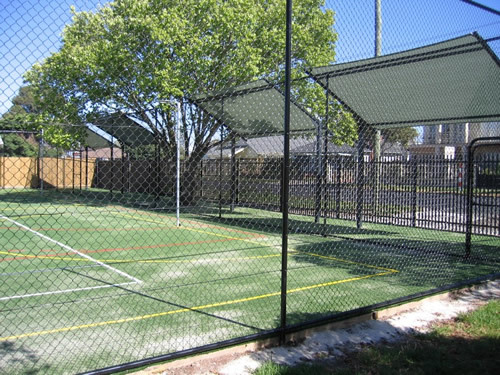 At Shady Places we welcome customers looking for custom shade sails in Melbourne, custom designed shade sails or shade structures are more practical than standard size ones, and let’s face it, how often does a standard sized shade sail fit all or any area, especially odd shaped areas that are not exactly square. With custom shade sails you get a shade that fits perfectly all the time. We pride ourselves on designing custom shade designs that our customers will love. Just imagine, enjoying lunch outdoors, playing on playground equipment or watching sports at your local recreational ground and suddenly it starts raining. At Shady Places we have designed shade structures with materials that help protect you from the rain. 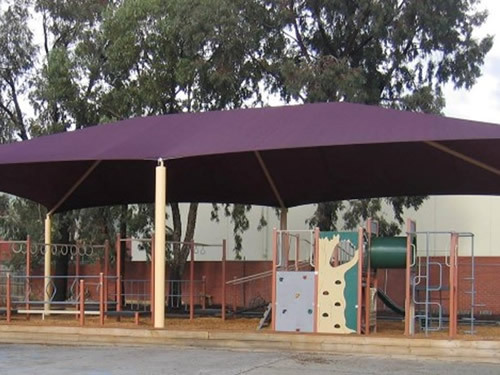 For custom made waterproof shade sails in Melbourne, we can design, manufacture and install a waterproof shade sail or structure to protect you from the sun and rain all year round. 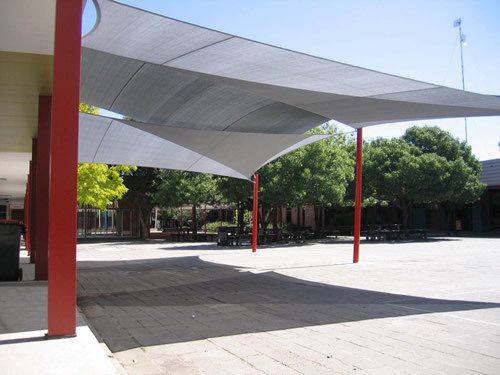 Our waterproof shade sails and shade structures are made from UV stabilized materials and are fixed with marine grade stainless steel fittings, which make them durable. 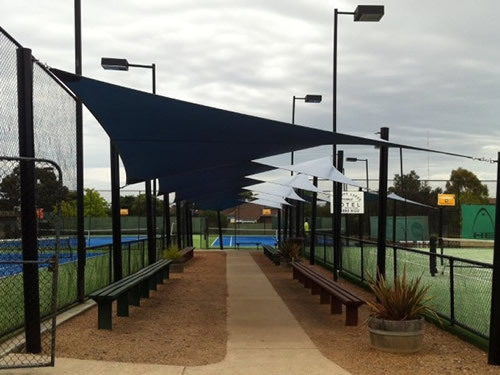 These waterproof shade sails and structures also project elegance and style, which makes them an ideal shade solution for both public and private playing areas. 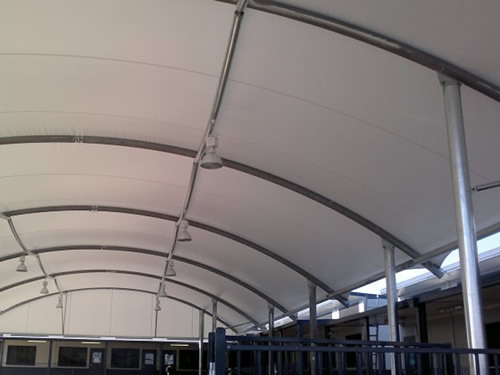 The best material for waterproof shade sails and shade structures are waterproof shade cloth or PVC fabrics, laser light and colour bond roofing. All these products will provide adequate protection from the sun and rain. For all your shade needs over pool areas in Melbourne, you can rely on our expert custom design service to create a shady oasis for your patrons to enjoy. Custom designing a shade that will enhance the value and look of your business or property while also providing protection from the sun’s harmful UV rays. 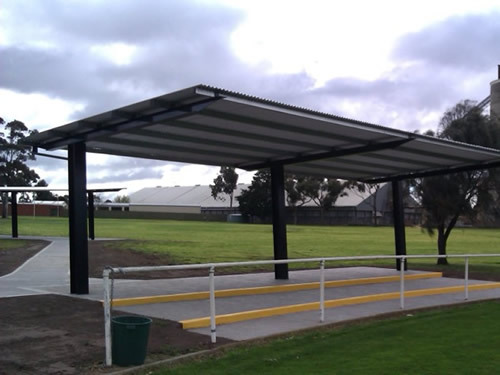 Here at Shady Places we bring you pool shade structures, that are built to last and withstand the harsh and ever-changing weather conditions we experience in Melbourne. 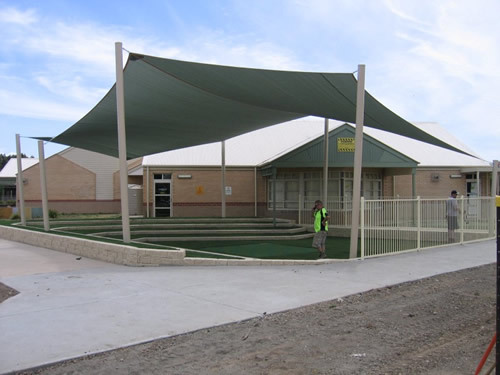 All our pool shade sails and structures are constructed according to engineering specifications, and Australian standards.